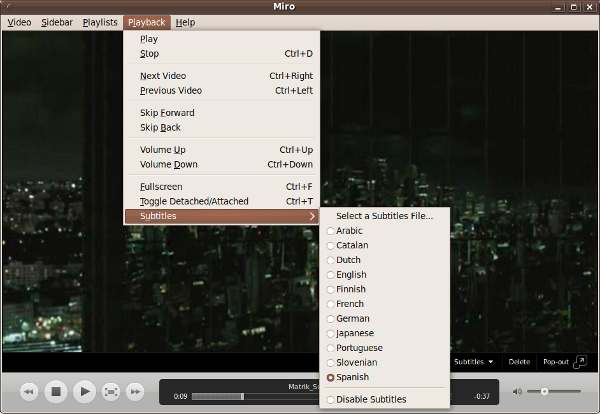 Miro is a full featured media player capable of playing most video formats, and with advanced features not found in many other players. Best of all, it's an open source development as well. 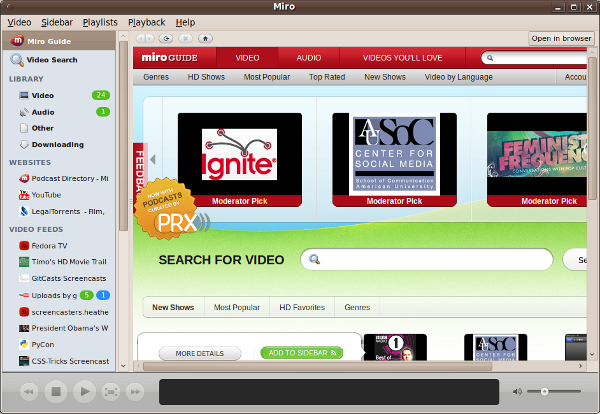 Amongst the unique features includes the ability to remember where you last stopped playing a video, so you can resume straight away the next time even if you shut down Miro. Another innovative feature includes the ability to play YouTube videos directly from within the player. But perhaps the most useful feature is the built-in BitTorrent downloader, allowing to automatically download files via BitTorrent feeds in the background, and pause and resume downloads at will. It even has an auto-expire feature that automatically deletes the videos you've watched to save space. With a large scale open source project, Miro is constantly updated and improved, with the software being translated to over 40 languages already.